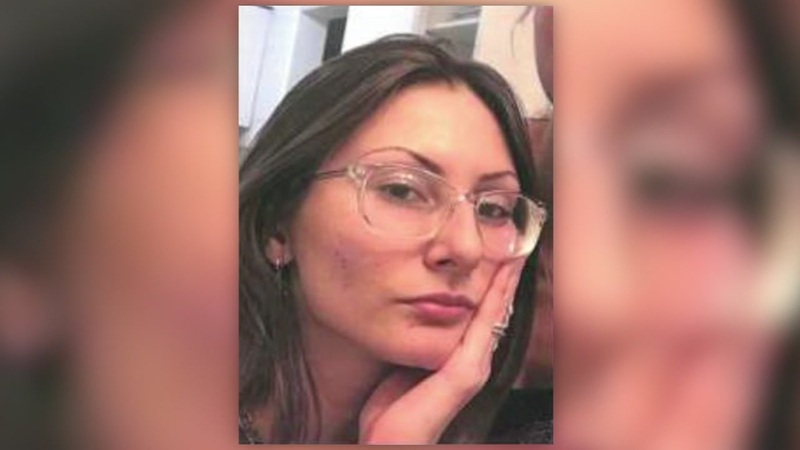 LITTLETON, Colo. -- A young Florida woman who traveled to Colorado and bought a shotgun for what authorities feared would be a Columbine-inspired attack just days ahead of the 20th anniversary was found dead Wednesday in an apparent suicide after a nearly 24-hour manhunt. Jefferson County Sheriff Jeff Shrader said 18-year-old Sol Pais was discovered by the FBI with an apparent self-inflicted gunshot wound. FBI agents had been searching for Pais, who was accused of threatening violence in the Denver area ahead of the 20th anniversary of Columbine. The FBI tweeted earlier Wednesday she is "no longer a threat to the community." The announcement came after an all-out manhunt for Pais, whose alleged threat led the closing of Denver-area public schools Wednesday as a precaution. Pais' alleged obsession with Columbine High School prompted the closure of schools in the Denver area. Shrader said Pais bought the pump-action shotgun at a gun shop in the Littleton area, not far from Columbine High School. Shrader said the sale appeared legal. Gun buyers in Colorado must provide fingerprints and pass criminal background checks. We can confirm that Sol Pais is deceased. We are grateful to everyone who submitted tips and to all our law enforcement partners for their efforts in keeping our community safe. Colorado law allows someone who is not a state resident to purchase a "long gun," but not a handgun, from dealers with federal firearms licenses. Buyers of long guns, such as shotguns, must be at least 18 years old. Handgun purchasers must be at least 21 years old. Colorado Gov. Jared Polis said that he and all of the state's parents are "hugging their children a little tighter" after the news that Pais had been found dead. "Together, we thank law enforcement for their swift and diligent actions over the past 24 hours to keep Coloradans safe, and we will continue to be vigilant against threats to our community," Polis said. The young woman reportedly made threats just days before the 20th anniversary of the Columbine attack. In Florida, the police chief from Pais' hometown asked the media to give her family "privacy and a little time to grieve." Surfside, Florida Police Chief Julio Yero said the family contributed tremendously to the investigation and "provided valuable information that led us to Colorado and a lot of things that assisted in preventing maybe more loss of life." Yero held a news conference near the family's home. He said he had to notify the family that their daughter was dead and that they are grieving. FBI agents had focused the search around the base of Mount Evans, a popular recreational area about 60 miles southwest of Denver. During the manhunt, the FBI said Pais was "infatuated" with Columbine and threatened violence ahead of Saturday's anniversary of the attack that killed 13 people at Columbine High School in 1999. The FBI described her "extremely dangerous." Public schools in the Denver area closed Wednesday after authorities said a young woman who is "infatuated" with the 1999 shooting at Columbine High School made threats just days before the 20th anniversary of the attack that killed 13 people. All schools in the Denver area were urged to tighten security because the threat was deemed "credible and general," said Patricia Billinger, a spokeswoman for the Colorado Department of Public Safety. Jefferson County said schools will return to normal operation Thursday but with heightened security. School events will continue as planned this weekend, officials said. "The shadow of Columbine is pretty large here," John McDonald, director of indicent responses for Jefferson County Public Schools said. "We're used to threats, frankly, at Columbine. This one felt different." "We always have heightened awareness close to high-profile anniversaries like this," Billinger said. The FBI's Rocky Mountain Safe Streets Task Force issued a notice Tuesday describing Pais as "infatuated with (the) Columbine school shooting." The alert also said police who come into contact with her should detain her and evaluate her mental health. Sheriff's spokesman Mike Taplin said the threats she made were general and not specific to any school. Since 1999, Colorado has experienced eight school shootings.